Brannon Howse is the president and founder of American Family Policy Institute and Worldview Weekend. Worldview Weekend is America's largest national Christian worldview conference series. Founded in January of 1993, Worldview Weekend is now held in approximately twenty states each year with an annual attendance of approximately twenty thousand. 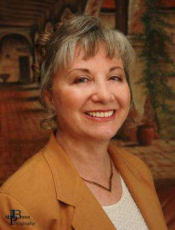 Kathi Macias is an award-winning author of more than twenty fiction and nonfiction books. She is a staff member for The Christian Communicator Manuscript Critique Service and a member of The Christian Proofreaders and Editors Network, Christian Authors Network, American Christian Fiction Writers, Christian Writers Fellowship International, Advanced Writers/Speakers Association, and Orange County Christian Writers Fellowship. She is a popular speaker at churches, women's clubs and retreats, and writers' conferences, and has appeared on radio and TV programs. Start the New Year right and reinvigorate your spirit of patriotism! Be a freedom fighter, stand up for your beliefs, and stay updated on current events. This month, Unite the USA is excited to offer a potent and insightful edition. Read a thought-provoking article by Worldview Weekend founder, Brannon Howse. Nazism and the False Church in Germany, Cultural Marxism, and the False Church in America is an article you will never forget. You will be driven to take action to re-center American churches on Christ and evangelism. Accomplished author, Kathi Macias, has once again shared an excellent, thought-prompting article called Poor Planning and Emergencies. May God bless you in 2010 and may God bless America! From his new book, "Grave Influence" 21 Radicals Ruling America From the Grave. Starting in 1878, Julius Wellhausen, a German theology professor and author of numerous books, began to proclaim that the Bible was a book of stories but not the divinely inspired Word of God. He taught countless Germans that the Bible could not be trusted, but human reason could be. This philosophy became known as Higher Criticism or German rationalization, and this liberal philosophy jumped the ocean and become popular on the east coast and then spread throughout America. The initial effect of German rationalization upon a Christian culture was on the schools, churches, and scholarship of Europe....Even so, religion still continued in Europe. There were still large churches, burning candles, beautiful choirs, lovely stained glass windows, congregations...all of that was still there....The Bible was only empty pages written by men who were now dead, rather than revelation of the living God. European Christianity was destroyed from within while still possessing the external form by which it had been known for centuries...the leaders quoted everything but the Bible and preached everything but the gospel, and reality was gone....It was because of religious liberalism that Europe lost its soul. European Christianity was compromised and changed into a false religion from within as German rationalization or Higher Criticism led the people to follow a humanistic religion. Germany was Hitler's for the taking because absolute truth and the gospel of Jesus Christ had long since been betrayed, and thus the German people believed that the end justified the means. As long as the people were to regain their national pride and their financial abundance, they would go along with Hitler's message of hope and change. 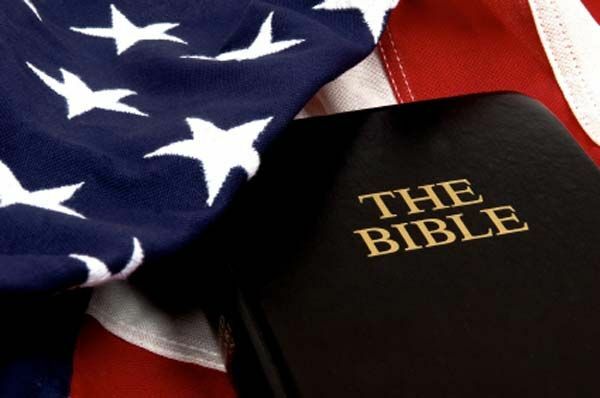 The masses went along, but as has happened throughout history-and as is happening today in America-God has a remnant that remains true to Him and His Word. The remnant is a small group of Christians that stands faithful and firm in their Biblical convictions even in the face of persecution and ridicule. The remnant is often met with hostility not only by the world but by the members of the postmodern, dominant, false church which includes not only those calling themselves Christians but can include those calling themselves deacon, elder, pastor or evangelical. The remnant can also find themselves being ridiculed by their own family members. Matthew 10:36 declares, "and a man's enemies will be those of his own household." The remnant as revealed in Revelation 14:12 are those who remain faithful to the cause of Jesus Christ even during great apostasy. "Here is the patience of the saints; here are those who keep the commandments of God and the faith of Jesus." Romans 11:5 declares, "Even so then, at this present time there is a remnant according to the election of grace." Because of God's grace, not because of our good works, God has seen fit to save us unto Himself. "It is obvious that Europe, despite its vaunted intellectualism, was unable to defend itself against the arguments and subversions of Nazism, Communism, fascism, the world of the occult, and other diseased ideas. External results in the life of any nation are ultimately caused by the presence or absence of a spiritual core made of divine life and spiritual blessings." Does this not sound like the churches, seminaries, Christian colleges and best-selling Christian authors in America? Many American Christians seem all too willing to go down a path that will surely lead to the destruction of a once great nation. Sadly, many self-professing Christians are not just following, but leading the way over the cliff. Having been raised by "old school" parents who believed that choices had consequences-and therefore let me reap them-I tended to raise my children the same way. To this day my youngest son, who is now in his mid-thirties, nods his head and grins when he starts to whine at me about something and I reply with, "Poor planning on your part..."
He knows the rest by heart because he heard it so many times during his growing-up years. When he goofed off and didn't finish his homework, then frantically begged me to help him so he could turn it in on time, I replied with, "Poor planning on your part does NOT constitute an emergency on my part." When he frittered away his weekly allowance the same day he received it and then asked for more a few days later, I'd say, "Poor planning on your part does NOT constitute an emergency on my part." When he failed to complete his agreed-upon chores and was therefore unable to go out with his friends at the end of the day, he knew better than to ask, for all he would get from me was, "Poor planning on your part does NOT constitute an emergency on my part." You get the picture. And yes, by today's standards, my unbending stance may have seemed overly strict. But did Chris learn from it? Absolutely. Not only does he understand that the paycheck he receives this Thursday has to last until next Thursday, but I've even heard him pass the "poor planning vs. emergency" advice on to his own children. Here's my problem: If a child can learn and benefit from this simple lesson, why can't a government "of the people, by the people, and for the people" do the same? I'm more than slightly disturbed by the fact that "we the people" are being pressured to respond to a so-called emergency that was created by the poor planning of people who are supposed to represent our wishes. It is obvious from every poll in the country that our wishes do not include forking over more of our hard-earned money to those who have already proven themselves to be inept at best, devious and self-serving at worst, and who now ask us to "trust them" yet again. I feel betrayed. I feel robbed. I feel cheated. No matter how clean and neat the thugs may appear, they are cleaning our clock-and it's wrong. Yes, we plan to fire many of them as soon as we are able, but how many more of our God-given liberties will they wrest from us in the meantime? First and foremost I am praying for our nation, including its leaders and regardless of their party affiliation. But I am praying for "we the people" too, that even as we "do justice, love mercy, and walk humbly with our God," we will also follow in the courageous and uncompromising footsteps of those who went before us and paid such a heavy price to ensure the freedoms we enjoy today. If you, like me, consider yourself part of "we the people," I hope you are praying with me for our great land. I hope too that you will stand with me and declare to those whose actions threaten our children's future, "Poor planning on your part does NOT constitute an emergency on my part." It is time for the government "of the people, by the people, and for the people" to listen to the people's voices, to move slowly and cautiously, and to commit only to those actions that will preserve our future as a nation. Our officials have taken an oath to "preserve, protect, and defend" the Constitution of the United States; it is time we held their feet to the fire and insist they follow through!"